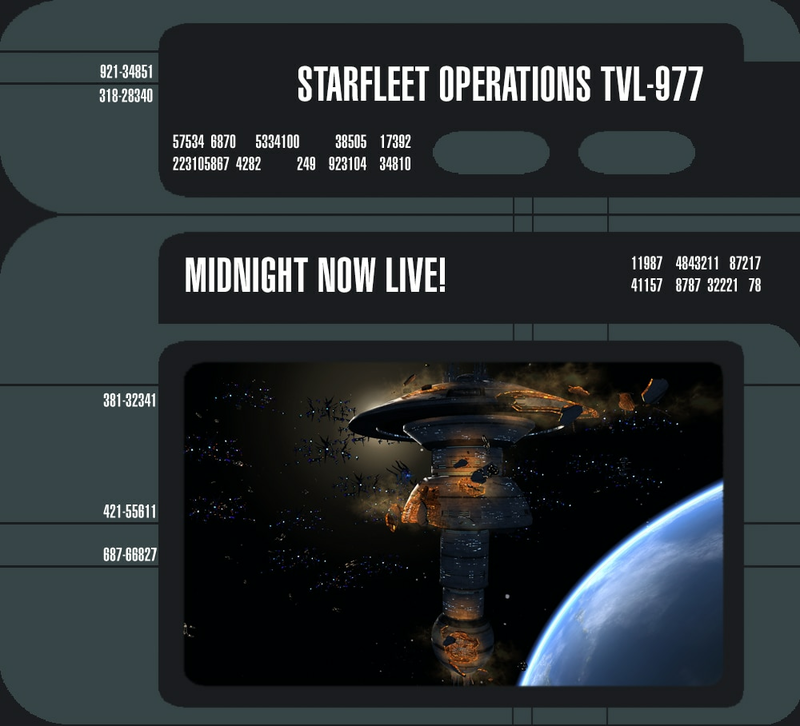 Star Trek Online: Midnight Now Live! Each we’ll be rolling out additional rewards for the Featured Episode “Midnight.” Last week’s reward was the Sol Defense Covariant Shield Array. The final reward is the Nanite Repair Matrix Space Trait. In addition, the first completion of “Midnight” on an account this week will grant a Featured Episode Weekly Reward box. The weekly reward box gives your choice of an Enhanced Universal Tech Upgrade or a Captain Specialization Point, which gives the character who opens the box a Specialization Point. The weekly reward box, tech upgrade, and specialization point box are all Bound to Account, and may be freely traded between your characters. The Specialization Point box requires the opening character to be level 50 or above. The Nanite Repair Matrix trait triggers when your ship’s hull integrity drops below 50 percent. Once triggered, nanites immediately repair some of the hull damage, buying Captains more time to deal with the current threat. This trait can be activated once every 90 seconds, and benefits from the Starship Hull Repair skill. All unlocked rewards will remain as selectable options on “Midnight” once it is added to the normal Episode list. The “Peacemaker” title and Iconian Vest Outfit will continue to be first play-through rewards. The Featured Episode Weekly Reward box will not be acquirable by running “Midnight” once this week is over. Make sure not to miss out! This two piece bonus increases your ship’s Kinetic and Energy Damage Resistance Ratings. This three piece bonus restores hit points to allied ships within range. Affected ships then release additional nanites, restoring hit points to allied ships and fighters in a small area around each target.